Chomp Vegan Eatery is a small completely vegan, gluten-free, and organic restaurant located in Suter Brook Village in Port Moody. The inside of the store is cute and has a bright airy feel from the tall ceilings. While I’m definitely a carnivore, I appreciate a restaurant that specializes in options for people with dietary restrictions. I’m lactose intolerant so it is nice to go into a place where I can order anything off the menu without having to take pills and get a stomach ache. I ordered the mango black bean rice bowl ($10.50) that is made with coconut milk brown basmati rice, cilantro, red onions, black beans, red peppers, and sliced mangos. 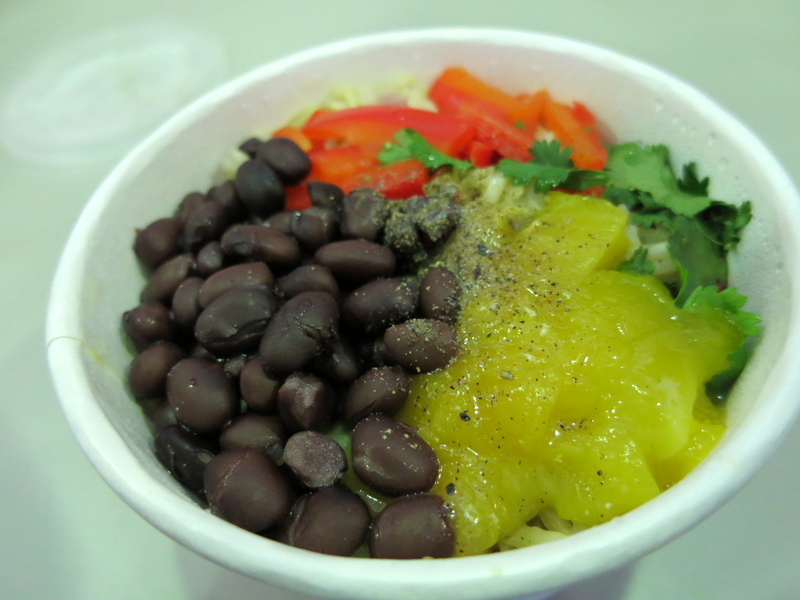 I liked the mixture of brown rice and black beans, which made the dish hearty and filling. The coconut milk was an interesting addition that added some creaminess. The sweetness of the mango was also nice. The ingredients in the bowl were good, but I felt that it was under seasoned. It needed a contrasting spicy or tangy flavour like ginger or red chili pepper or something because I found the flavours to be pretty one dimensional. 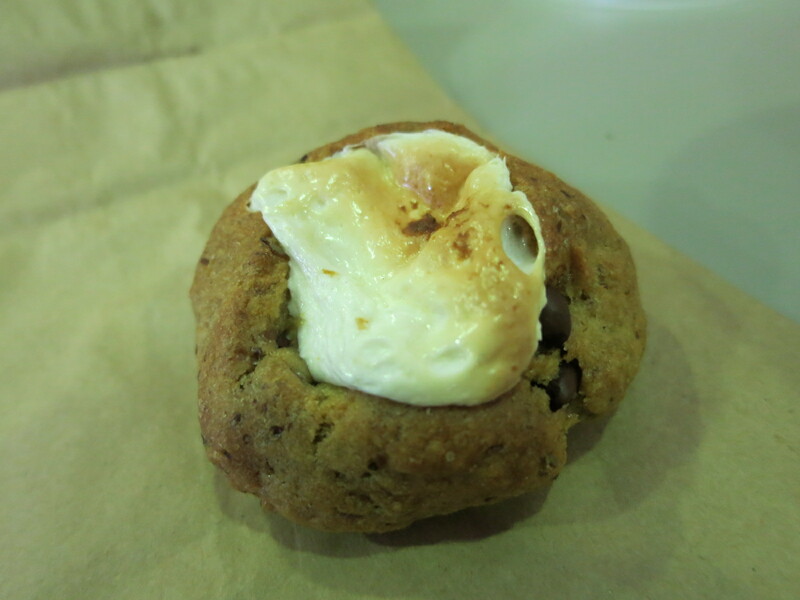 I also got a s’mores cookie that came straight from the oven. This was a great cookie and the fact that it was warm and fresh made it extra delicious. It was moist and slightly chewy and the marshmallow filling made it better than an average cookie. While the food wasn’t bad at Chomp, it isn’t something I would make a trip back for. With vegan food I feel like you really need to take advantage of herbs and spices to give stuff lots of flavour, and I think Chomp improve upon this aspect. It is a good option though if you have dietary restrictions as they have lots of items to choose from. Yes, but only if you have dietary restrictions.